Ingredients: If you liked the satirical nature of The Running Man, the brutal action of Battle Royale, and the quick-paced cinematography of The Bourne Identity, you will like this movie. The Hunger Games is a good movie, but not a great movie. The film is set in a future where one ruling body, the Capitol, exerts its dominance over the 12 districts under its control by forcing one young boy and one young girl from each distract to participate in a televised event called the Hunger Games. What are the Hunger Games? Oh nothing much, just a battle to the death! 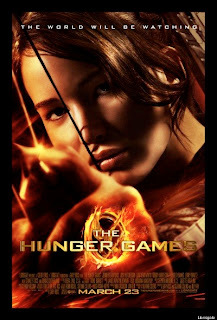 The movie centers around Katniss Everdeen (as played by Jennifer Lawrence) and Peeta Mellark (Josh Hutcherson) as they represent their district and do their best to win support from the audience while surviving the battle with the other 12 to 18 year-old representatives, to the death. The problem with surviving is that only one child can live in the end. What will happen between Katniss and Peeta and their budding romance when their lives are on the line? 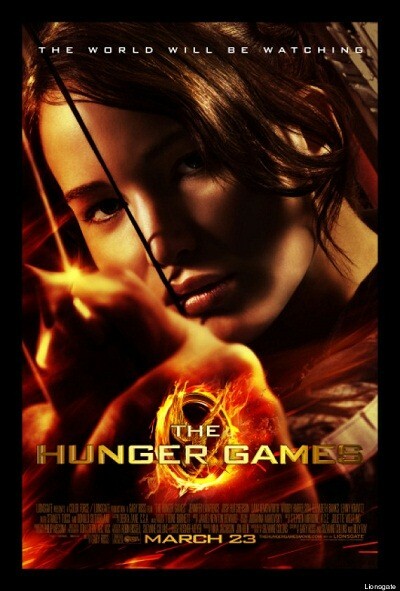 So the biggest problem I can find with The Hunger Games movie is that it really is a movie for the fans. I was fortunate enough to see this with someone who had read the book and they filled in a lot of the gaps for me that the film just didn’t cover. So book readers, this is your movie; non-book readers, you might find yourself lost fairly quickly. But even with the lack of background information I found the movie to be quite enjoyable. There are some exceptionally good dramatic moments that will keep you on the edge of your seat and the characters are terrific. The acting is good and the concept is great. Stanley Tucci, Wes Bentley, Elizabeth Banks, Woody Harrelson, and Donald Sutherland all play supporting characters and every scene they are in is phenomenal. Probably the weakest thing about The Hunger Games, besides the lack of relevant background info, is the “artistic” choice with the cinematography. Rather then just letting the acting carry many of the scenes, there are some rather annoying attempts to emphasis the emotion of the moment with shaky camera angles and quick cuts. Fortunately, the cinematography calms down through the middle and most of the end but some people might find themselves taken out of the action by the sudden shift in style. Of course I do need to bring up some of the cliches in The Hunger Games that are centered around the propaganda and control of the Capitol over the poor working class of the districts. The districts are, of course, the oppressed underdogs we are rooting for while the fashionable citizens of the Capitol are the unapologetically totalitarian bad-guys. For me, it was just a bit distracting how one-dimensional the villains were considering how deep the movie was trying to be. Something else I found distracting, the costume choices! Seriously, it’s like the fashion designers from Johnny Mnemonic and The Wizard of Oz took over the world and brutally punished anyone that would not wear their silly ensembles. It’s just a small gripe though and considering some of the other releases that came out this month, The Hunger Games was a welcomed change.